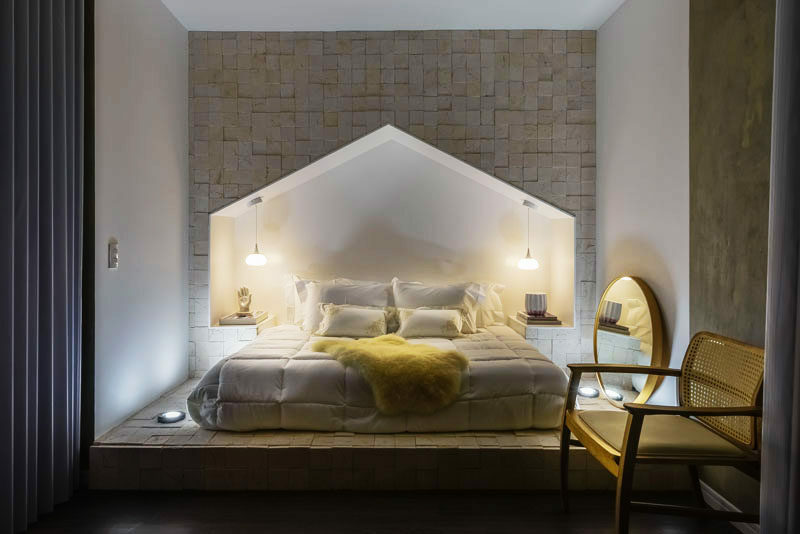 Eduardo Medeiros, Gabriel Bela Cruz and Gustavo Migliori, have designed this bedroom that features a bed surround in the shape of a house. 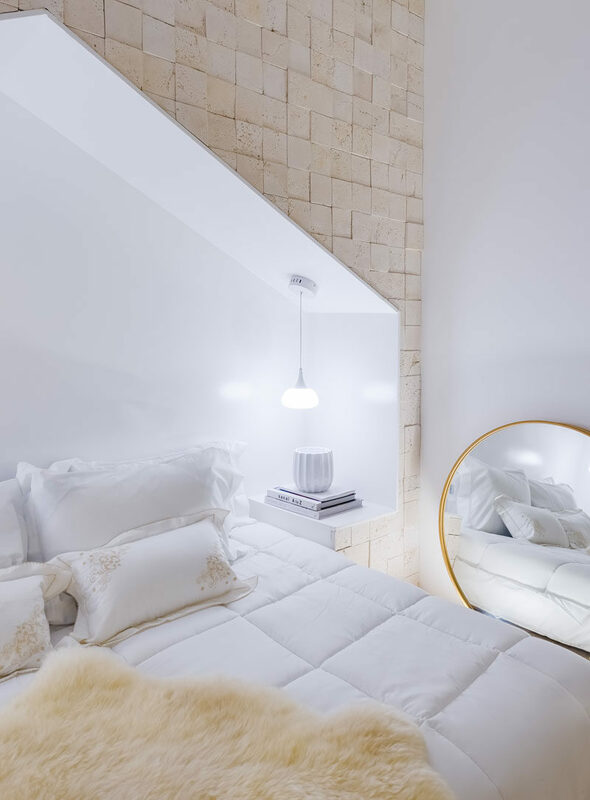 The surround, which is bright white, creates a cozy environment by wrapping around the head of the bed and also helps to add depth to the room. 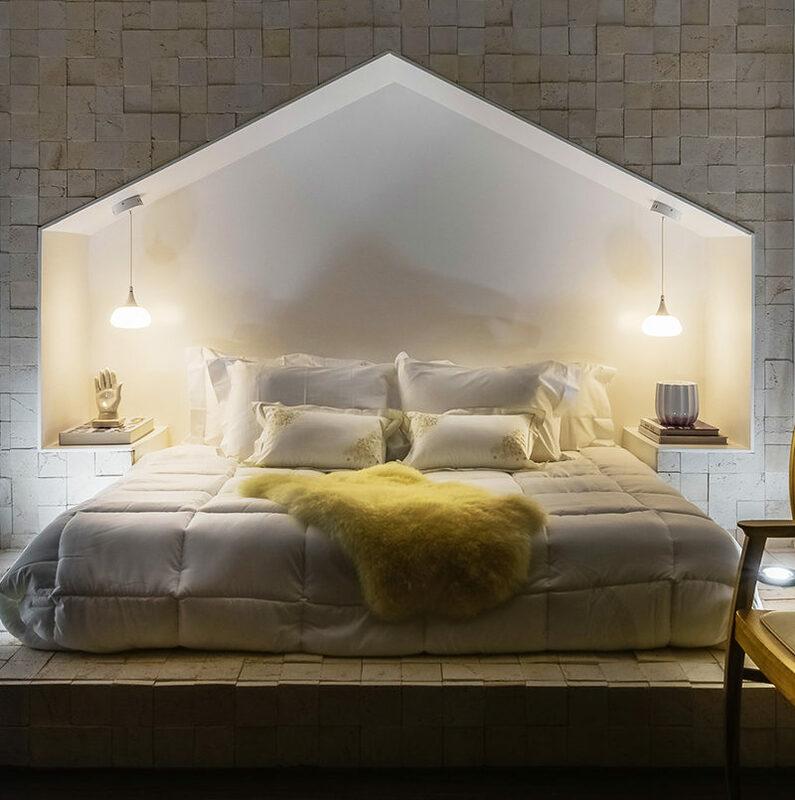 Built into the surround are nightstands, large enough to hold personal items, that are lit up by small pendant lights hanging from the surround.